I traveled throughout Israel over the past 10 days and visited many parts of the beautiful country. Each place was more awe-inspiring than the last. But Jerusalem really stood out, for its history, mix of cultures and religions, and sheer beauty. The Old City must be seen to be believed. Walking through the bustling underground markets and sites that are thousands of years old seemed to take me back in time. There was the chance to do some business while there too. 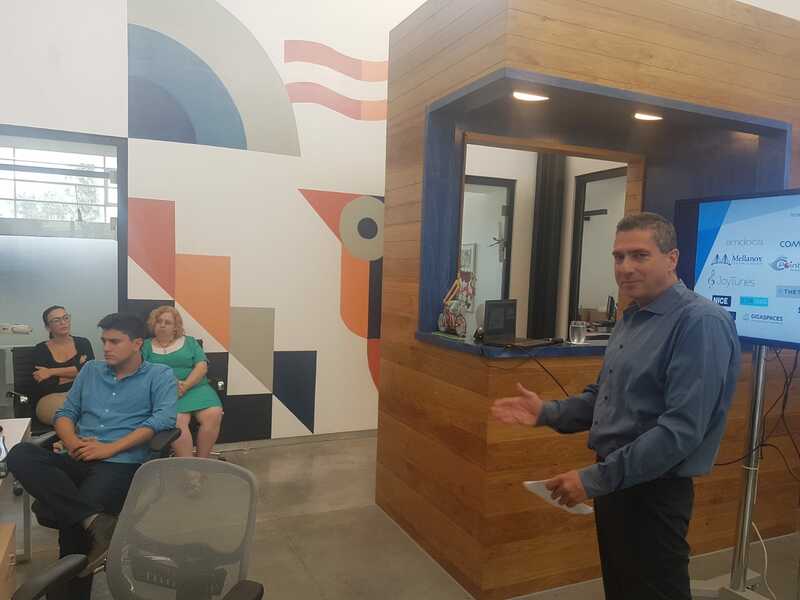 Our friends at Jerusalem Venture Partners (JVP), an internationally renowned venture capital fund based in Israel, hosted a meetup, where I led a session about the art of PR for the Jerusalem tech community and its startups. Of course, I know JVP, as Fusion PR has worked with the largest and best-known Israeli VC for years. We’ve helped a number of their portfolio companies launch and grow. But this was my first visit. I got to meet the team in-person and learn more about its history and initiatives. To understand JVP, it helps to appreciate Jerusalem. The city might not be the most obvious home for a VC that focuses on the tech sector – Tel Aviv and Herzliya have far more tech companies. Perhaps that is the point – a feature, not a bug. I spoke with Doron Ish Shalom, Director of Program Development, and Pnina Ben Ami, VP Marketing. They helped me better understand JVP. It is a VC firm, so of course the focus is investment and building global companies. More than that, JVP is about making connections, creating value and building bridges, with a broad network of partners and expertise to help companies become global market leaders. The most obvious bridge connects ancient Jerusalem to the modern tech world. JVP’s innovative approach starts with its unique location at the JVP Media Quarter. They’re located in the British Mandate’s historical MINT Building built in 1937, adjacent to the Old City. With over 200 dynamic entrepreneurs in the business, social and cultural enterprises, the JVP Media Quarter houses startups, VC Fund JVP, an early stage incubator, the Siftech Accelerator and many more. JVP also bridges business, government and society (e.g. in areas such as transportation and infrastructure). It even has an initiative to bring Palestinians and Israelis together via entrepreneurship. The firm builds bridges between Israel and the world – the VC is expanding to NY, Europe and Asia. Recently, Alibaba founder and chairman, Jack Ma and his entourage of 35 senior executives from Alibaba Group visited JVP’s campus in Jerusalem. JVP became a strategic partner of Alibaba two years ago and since then the Chinese firm has invested tens of millions of dollars in JVP. At Fusion PR, one of our specialties is helping early stage companies launch and grow, so I was particularly interested in a new effort there called JVP Play, an innovative platform in partnership with Tesco, PepsiCo, Barclays, Microsoft, and Deloitte to build disruptive companies based on collaboration with global customers, partners, and investors. “It’s win-win-win,” Doron explained. Big business gets first crack at the newest tech – and the chance to influence development. Startups can POC with major brands – and get valuable feedback and the prospect of converting the trials to customers. Of course JVP wins by being a catalyst. They go beyond the usual VC roll of the dice to fuel the success of companies that may join their portfolio. The background provided by the JVP team made me even more excited to participate in the meetup. 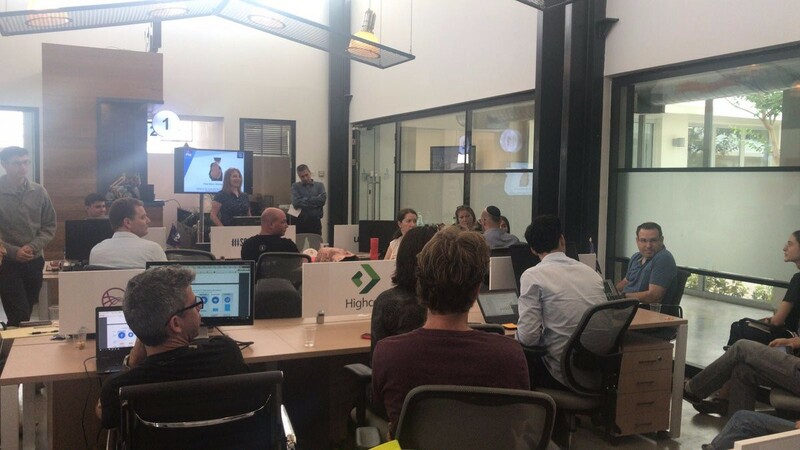 It was well attended – there were over 40 people, including JVP Play portfolio companies, early stage startups from east of Jerusalem, ultra-Orthodox entrepreneurs who have already succeeded in developing successful technological solutions, Siftech portfolio companies and SecBI, a Fusion PR client. I explained the realities of PR today, and tactics that can help startups launch and reap the benefits of great PR. You can get a copy of the presentation here.